Yasunori Mitsuda, a veteran in the game music world, has had a very busy couple of years. 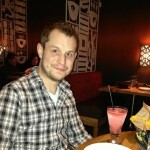 In these past few years, he has worked on soundtracks for anime, TV specials, and a variety of video games. His recent works include Valkyria: Azure Revolution, Black Butler: Book of the Atlantic, and the main theme to Another Eden. In this interview, he discusses his recent works, talks about the upcoming soundtrack to Xenoblade Chronicles 2, and gives insight into 2018. This translated interview was made possible by support from Materia Collective. VGMO: Mitsuda san, thank you once again for speaking with our site. The last time we spoke was during the Symphonic Fantasies debut in Cologne, Germany. Since then you have worked on a variety of different projects, ranging from contributions to arrange albums to full-fledged soundtracks. What were some of the most memorable projects you’ve worked on through 2016 and what did you enjoy about working on them? Yasunori Mitsuda: Time sure does fly, doesn’t it? Since we last met in Germany, I’ve worked on a number of projects. They’ve all left their mark on me in some way or another, but the NHK Special “Space Live: Comet Explosion – Mysteries of the Solar System” left a particularly strong impression. About 2-3 days prior to the broadcast, the comet we had been planning to show live on screen exploded in the midst of traveling around the sun, and it vanished without a trace. The show’s staff scrambled to change the content of the show and was able to broadcast, but I recall writing music right up until the day went live. It was pretty shocking stuff. VGMO: You made a single contribution to both the first Xenoblade game and to Dariusburst Remix Wonder World. Could you talk about your approach to both projects and what influenced their overall direction? Yasunori Mitsuda: I really had no intention of working on Xenoblade, and I turned them down many times. You already had wonderful composers on the project like Yoko Shimomura, ACE+, and Manami Kiyota, so having me come in and participate with only a single song just felt strange, no matter how much I thought about it. 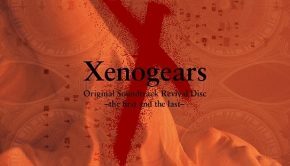 It’s true that I was responsible for creating the original “Xeno” sound with my work on Xenogears, but various composers have added their own voice to the different Xeno projects over the years. That made me feel like, after all this time had passed, it was no longer my turn to shape the sound of the series. Regarding the Dariusburst album, I was a big fan of the series, and I absolutely wanted to try arranging a song. So, I was happy when they allowed me to participate. Some might see me being involved as a good thing, others might see it as a bad thing, so I can’t really speak unconditionally, but I don’t personally feel that I had any particular influence on either of these two projects. VGMO: You also contributed to Nintendo’s Kid Icarus: Uprising, for the Nintendo 3DS. Given this was a collaborative score with multiple composers, how did you approach the soundtrack to make sure that it sounded cohesive given the many styles represented by the different composers? Were there any challenges you faced during this production? Yasunori Mitsuda: Just as you suggest, because we had so many composers involved, the initial sound was a real mish-mash. When Sakurai-san offered to have me produce, I had the chance to listen to everything, after which I got rid of all the audio that was unnecessary for this project. So, my work was essentially to arrange and orchestrate, but by the time we finished, it had also come to encompass managing the budget and schedule, too. The biggest challenge had to do with the stage music. Each piece had to sync up with the flow of the stage, but due to game slowdown and the fact that the stages were incomplete, we couldn’t really finish anything until the very end of the project when things were finalized. We had a lot of troubles on Kid Icarus, but I’m really happy with how far we managed to take the game’s audio. VGMO: In the past several years, you’ve worked with Square Enix to present two arrange albums for your work with them when you were still an employee. When it comes to Myth: The Xenogears Orchestral Album, how was the direction of album decided and if there were a sequel to the album, which tracks would you like to have arranged for it? 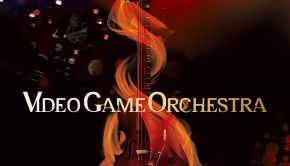 Yasunori Mitsuda: There’s a lot of background story here, but basically, I had a lot of experience with the process of working on orchestral soundtracks, and so I finally felt as though I had a deep understanding of the orchestra. There was that, plus the simple fact that I just wanted to hear the Xenogears music performed by an orchestra. If there were a Myth 2, I’d definitely want to give the battle BGMs some attention. VGMO: The other album was To Far Away Times: Chrono Trigger and Chrono Cross Arrangement Album. Could you tell our readers what the overall concept of the album was and why the decision to include both games on the CD? In addition, how was the overall direction of the music decided, given the many contributors featured on the album? 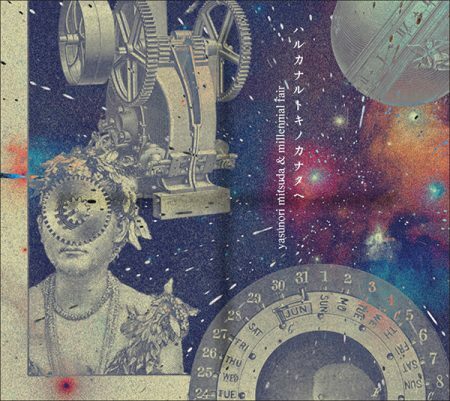 Yasunori Mitsuda: My original plan was just to do a Chrono Cross arrangement album. But when it came time to pick a theme, it was incredibly challenging. Cross is the sequel to the unforgettable Trigger, and the music and scenario are intimately connected, so it felt like it would be meaningless for me to do an album that only focused on Cross. So, I started thinking about using Schala/Kid as the focal point of the album, what with her strong connection to the stories of both games. Also, I didn’t think an instrumental album would really raise any questions or curiosity in the listener, so I decided to do it as a collection of vocal themes. Of course, there are pros and cons to this approach, but it’s what seemed most appropriate for the way I felt about Chrono Trigger and later, Cross. Finally, let me take a moment to announce this: I have no intention whatsoever of doing another Chrono-related album. I feel as though I’ve said all I can say about the series, musically. It feels complete. VGMO: 2017 has been an extremely productive year. In early January, Valkyria: Azure Revolution, the action RPG spin-off of Valkyria Chronicles was released in Japan. Despite being a spin-off, did you have any concerns when you approached the soundtrack, given the established sound by Hitoshi Sakimoto for the Valkyria Chronicles series? How did you approach the soundtrack to give it your signature touch and could you reflect on some of your favorite pieces on the soundtrack? VGMO: In April, the mobile game by Masato Kato, Another Eden, was released. Although you were not the primary composer for the soundtrack, you did compose the main theme, as well as a few other tunes on the soundtrack. What was your approach to the main theme? 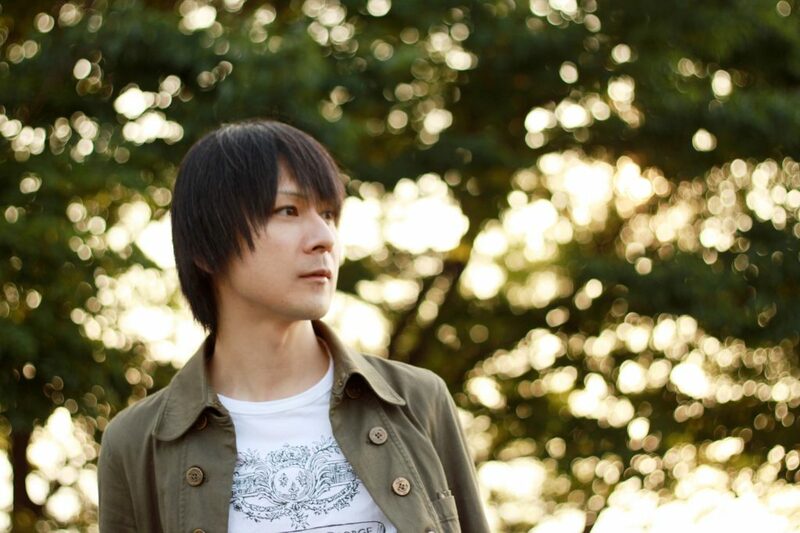 Yasunori Mitsuda: I wrote this in the game OST’s liner notes as well, but the keywords for this project were “time” and “space.” But for me, the theme that really came out was this human drama, with the game’s protagonist at its center. So, the piece I wanted to try to write was one that would really elicit the vibe of the various characters when the players heard them. 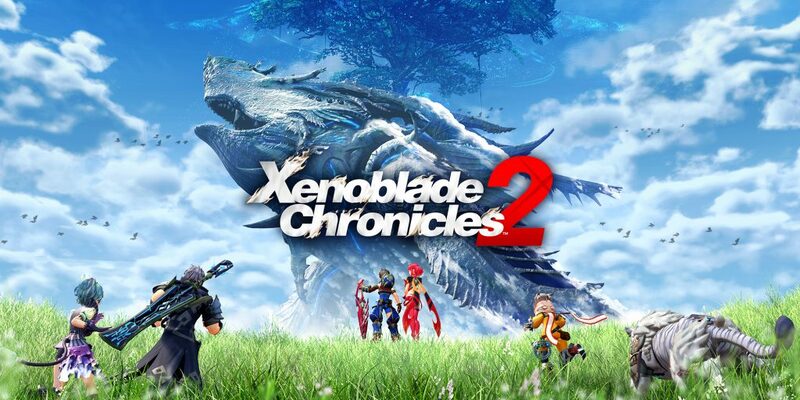 VGMO: Of course, the biggest news of the year would be that you would be participating, once again, on Xenoblade2 (English title: Xenoblade Chronicles 2). Could you discuss your overall role in the soundtrack production and what challenges/concerns you had when working on this soundtrack? Could you let us know if there are currently any plans to release the soundtrack? Yasunori Mitsuda: The biggest news of the year, huh? I’ve still got another big one that should be announced soon (laughs)! [Editor’s Note: This has since been confirmed to be EPISODE IGNIS for Final Fantasy XV] Anyways, Xenoblade2 was a ton of work. In my role as a producer, I handled proofreading (checking all the scores), managing the budget, sound checks, and the sound program. It was an impossible amount of work for one person. The biggest challenge was that, since the other composers didn’t have much experience recording with orchestras, I was handling controls, identifying issues in the written music, and gently relaying the director’s requests to the team—all work that required a lot of attention. Of course, since I also had to write my own music, it was a pretty rough one and a half years. VGMO: Fans were also happy to learn that you would be contributing more to the soundtrack than in the first game. Could you describe what types of styles and sounds you were aiming for with your contributions and what we can expect, generally speaking, from the other composers on the soundtrack once the game is released in December? 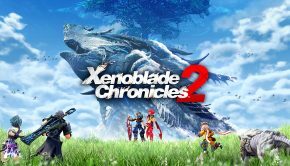 Yasunori Mitsuda: Let’s see… On Xenoblade2, I wrote the main theme, important event themes, and the vocal theme that plays in the end of the game. The soundtrack in total was a staggering 120 pieces, but that was divided among five people. As a result, I wrote a lot more music than the previous game’s soundtrack had. The portion I was responsible for has a lot of pieces that I think will really remind you of Xenogears. I tried not to break down the Xeno sound that I built up (like I mentioned earlier in this interview), so I hope you’ll enjoy it. VGMO: Mitsuda san, once again, thank you for speaking with us today. Is there any message you would like to tell your fans around the world and is there anything we can look forward to hearing from you in 2018? Yasunori Mitsuda: Thank you for reading this entire interview! First, I’ve got a big announcement soon [Editor’s Note: EPISODE IGNIS revealed at Paris Games Week]. Next, on December 1st, Xenoblade2 will go on sale. I’m working on another big project right now for next year, but I’m still not sure what it’s going to turn out like. Beyond that, there’s the new Inazuma Eleven anime and game, and I’ll be handling the soundtracks for those. However, since I’ve been overworked for a couple of years now, I’d like to just take it easy next year (laughs). After that, I’d like to just do some things I enjoy. I’m getting close to my 30th anniversary as a composer (are we there yet? ), so I’d like to think about doing some original albums and that sort of thing. Posted on November 8, 2017 by Don Kotowski. Last modified on November 10, 2017. Great interview Don, really enjoyed reading about Mitsuda’s work, and thanks for getting that clarification on the Chrono series. 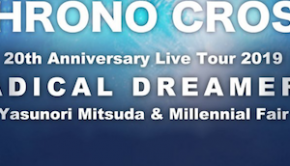 Here is hoping for original albums featuring Mitsuda and Millennial Fair! Great interview :). Thanks for the interview! Man, I hope Xenoblade 2 gets a soundtrack release. Maybe they could put it on a blu-ray disc like the recent FFXIV albums? Good stuff. 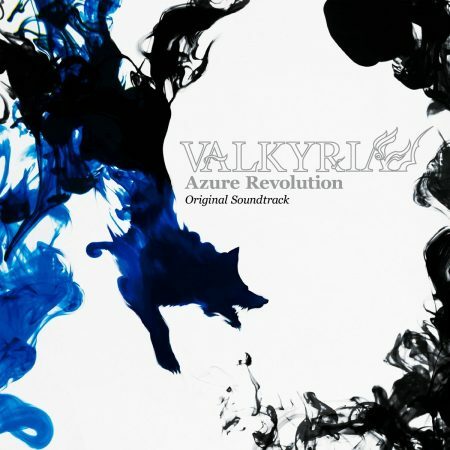 I never get tired of Yasunori Mitsuda’s music.